ProVari: Is it Over the Hill? The ProVari is the crème de la crème of the vaping world. I’ve said it along with countless other vapers. That was certainly true up to a few months ago. But, has its time come? Are the only ones left singing the praises of this vaping status symbols the fanboys? I’ve pondered whether the ProVari has seen its day lately, so I figured why not put those musings into the form of an article. Most likely, if this article got your attention, you are probably already familiar with the ProVari. If not, the ProVari is a high-end variable voltage electronic cigarette made in the USA. One of the first ones to feature any sort of display along with advanced features like a resistance meter and a single battery design. You can check my original review here if you need more details. Last year, ProVape, the maker of the device released the first significant change to the device in the ProVari 2.0. The 2.0 used the same body, but upgraded the internal circuitry to support higher amperage loads. Shortly afterwards, the ProVari mini came into existence. This model featured a shorter body for smaller batteries. It used the same circuitry and featured the same price tag as the original model. Recently, the ProVari 2.5 was released. There was much anticipation about the possibility of more features such as variable wattage being added to update the aging product. The 2.5 update turned out to be purely cosmetic, leaving in the same feature set as the version 2.0 models. For the longest time the ProVari enjoyed its place as the king of e-cigarettes in terms of both technology and superior build quality. First came Volcano’s original Lavatube at half the price which had some of the same features of the champ, though it was light years behind in build quality. It was around that time that ProVape released the 2.0 upgrade for it flagship. Clones of the Lavatube and of the ProVari continued come in from overseas. For the most part, they couldn’t match the performance or the build quality of the ProVari 2.0. Eventually the challengers became closer in build quality, but lacked the performance. That gap too began to shrink with devices like the original V-MAX that used dual battery configurations to handle amperage loads of 4amp or higher. Those initial high-performance models had a fatal flaw in the way they calculated power at lower voltages. These also were no match for the ProVari’s rock-steady voltage output performance. The flaws were smoothed over. Suddenly, even more innovations were getting packed into the devices. Factory-made vaporizers started boasting features like variable wattage combined with higher current limits. People began asking if the ProVari was worth the extra cash. Is the ProVari Worth it? Here we are today. There are probably a good dozen devices (or more) on the market right now that boast better technology than the ProVari. There are APVs that feature beautiful OLED displays, most also can do automatic power output in the form of variable wattage. You may also like: The last throw of the dice for BAT with e-cigarettes? Let’s face it, variable wattage isn’t even that hard. It’s a matter of taking the resistance of the attached cartomizer and calculating the voltage to match the set wattage. Ok, that’s not hard for a microchip, but I still can’t do it in my head, that’s why I like variable wattage. Then there are devices like the Joye eVic and Janty Mid which have USB computer connections that allow fixes and features to be added via software updates. To their credit, ProVape upgraded my original model to the version 2.0 for a reasonable fee, but I had to mail it to them. It’s also worth noting the eVic has a fairly low amp limit, due to software restrictions and design limitations. Many of the devices do have high amp limits thanks to dual batteries (which is an issue on its own, I admit) which means it’s easy enough to drop back into voltage mode and just throw a ton of power at dual coil cartomizers. Quality still varies widely from model to model, but there are some fairly well put together devices on the market. And the thing is pretty much every device that bests the ProVari in technology is anywhere from a little to a whole lot less expensive. It does seem like the ProVari is starting to show its age like a Hollywood starlet past her prime. Continue to Page 2: Tired or Tried and True? What Does Brexit Mean For Vaping? Kind of. But the fact of it is I find myself using the ProVaris less and less these days. Steve, if I got a bunch of mods to review, I suspect I wouldn’t use mine as much either. But I’ll be damned if I’m going to queue up in the madness that is iHy or some other limited edition mech. mod on sale for 1 minute. While I might acquire a Vamo or Ego 18650 for backup duty, the ProVari will remain my “go to” for the foreseeable future. Might even pick up a mini to go with it. yeah provari is over the hill too many new things coming into the market and a very big strides. I agree that the need to update the electronics, with that said, the Chinese garbage that costs $80+ might have better features but don’t come close to the quality. Buy a new chi-com mod every 8 months or so after they wear out you’ve paid for a Provari. Personally I find the Pro to provide a great vape. If you need more than it can dish out, then maybe you need to go back to real cigs. Great article, SteveK. You said what I’ve been thinking for a long time. If I’m paying $200 for a mod, I expect it to have VW as well a VV. I heard, I heard…just two words. Care to share from where? As we all know the internet doesn’t lie. Um…right?? Well, have U heard? About the bird? Lol. Have a goodun’. XD!!! The ProVape-1 and ProVari are actually MADE and ASSEMBLED in the USA. Parts – Machined right here in Monroe, WA. We use US-made stainless steel bar stock to produce the tubes, top caps, bottom caps, contact pins, etc. Everything is done on our machines locally. No outsourcing. Bare Circuit Boards – Manufactured in Illinois. We do not purchase the circuit boards from China due to their poor quality. While the circuit boards are more expensive to produce in the USA; this is the heart of the system and it’s important to us that they are the best quality we can get. Each PCB is electronically tested before it ever sees components. Electronic Components on Circuit Board – these are the only parts that might come from outside of the USA. Some of these parts are simply not made in the US, so we can’t get them from a US source, even though we would prefer to. We use components from Japan, Korea, Taiwan, Malaysia, China and the USA. Component assembly – Components are soldered onto the circuit boards at a facility outside Seattle, Washington. After getting components installed, the boards are tested several more times at our Monroe facility to ensure they are ready to ship. We test each one multiple times to give you the most reliable product you can get. We don’t cut any corners when it comes to quality control, testing, and component selection. 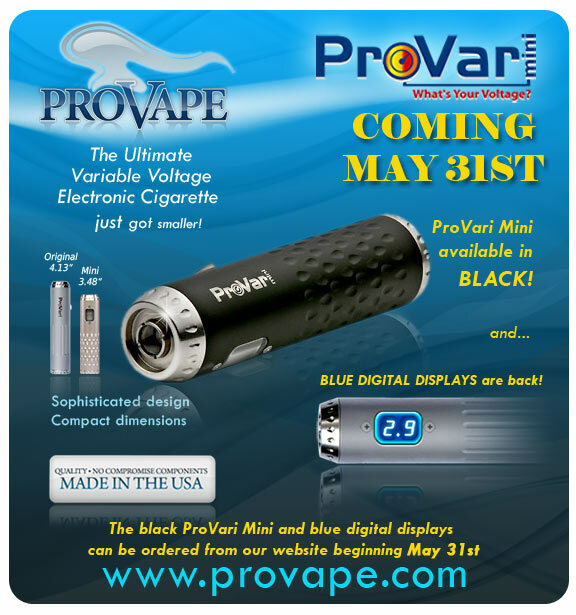 We love to hear all the positive comments about the ProVari and PV1. Thank you for your support! Sure I’d love for ProVape to come out with a Variable Wattage Mod but until they do I will continue to use my Provari V2. I have read too many posts from people who have purchased an Smax, Zmax or Vamo only to have it break with 3 months, 1 month, even 1 week, to trust the Chinese Mods. If I wanted to put an o-ring under my post to keep it from getting pushed in and stop firing I would make my own mods. If I replace my VW device every four months I will have spent enough in one year to have purchased a Provari. Thanks but I think I’ll stick with the quality and dependability that comes with a Provari. It’s like i tell people – VW is a gimmick in the first place. Being able to set the Wattage doesn’t mean squat if the length of wire and area of surface contact is still a variable (namely when it comes to RBA’s).15W over a 1/4″ length of wire does not vape the same as 15W over a 2″ length of wire. The Provari suit’s it’s purpose just fine as it is, although a higher Amperage limit would be nice. You’re still getting your moneys worth, because you’re paying for build quality and accuracy of output; because of those factors alone, I doubt we will see ProVape releasing a VW device any time soon unless it’s simply to appease the dumbed-down masses and keep the company afloat. I do agree with you that the tech of the Provari is due for an overhaul…or at the very least an upgrade to variable wattage. Also, it’s probably not a stretch to expect an upgrade to OLED in the future. But I think the quality of build and design could carry the Provari alone for a long while. As for the VV/VW debate: there’s nothing truly innovative about the technology…hell, my brother has been installing fixtures with much more complex features in houses for the past 15 years. Its implementation into the e-cigarette world could have been clocked with a stopwatch…it was only a matter of time. As a matter of fact, if you want to anticipate the next innovation in the electronic cigarette world, just have a conversation with an electrician (not even an electrical engineer–they’ll talk your head off anyway…lol). I love my Provari….I’ve given up the use of a VW device to make it my go-to mod for the same reason most of us have: the build quality cannot be beaten, and it’ll take anything you throw at it. As the saying goes ” you get what you pay for”. I really don’t care about VW as I can compute for the wattage that I need. Wattage is proportional to voltage. The higher the voltage the higher the wattage. So if I want to set a higher wattage I just do the marh. Watt = V*V /R. For me Provari is the way to go. Nothing less. Very good points. My suspicion was it’s the quality above the technology at this point that attracts people to this device. Funy thing I placed an order for my second ProVari just yesterday. It is gonna be the same V2 satin silver, just red led instead of blue . I did it as a little treat for myself celebrating the first year without analogs. I owned original Lavatube and Vmax. Find both a crap. The regulation was bad and finish was horrible. I also went with the hype and got GGTS which I am going to sell soon. Too many threaded connections = too many resistors. I cannot get good vape even with kick module in it. I did some research in the field of VV mods to find if there was something better and ended at ProVape shop again at the end. I ordered a “blemish” from them for 140 bucks. Got a message today that it was shipped. Cannot wait! So funny to read all the ProVari fanboy comments… Most are in complete denial that the provari is a status symbol these days. You hit the nail on the head when you said that! It’s very similar to apple fanboys. While Apple’s products and the Provari are great devices in their own regards, there are many devices that are just as good, if not better, but in different ways… Overall, I think the provari is a stellar device, and does have the best build quality on the market at the present time……but that’s about it. Great article. Provary is just a piece of old school junk. You’d have to be out of your mind to buy one today with all the choice of other great modern mods. Yes….The Provari has been around a long time, And the build quality is undeniably about the best, if not “the” best in the industry. Are there now competitive mods out there? Yes. The only people I hear bashing the old girl are probably people who never owned one. You may hear people say they don’t use it as much as they used to, but they won’t speak negatively about it. Remember that “everything” out there now came “after”. Yes VW is nice, necessary? No. I have several VW devices. I also have Provari. The new offerings from other makers may have out surpassed Provari, but only in the “bells and whistles” department. Not in build quality or fit and rock solid function. 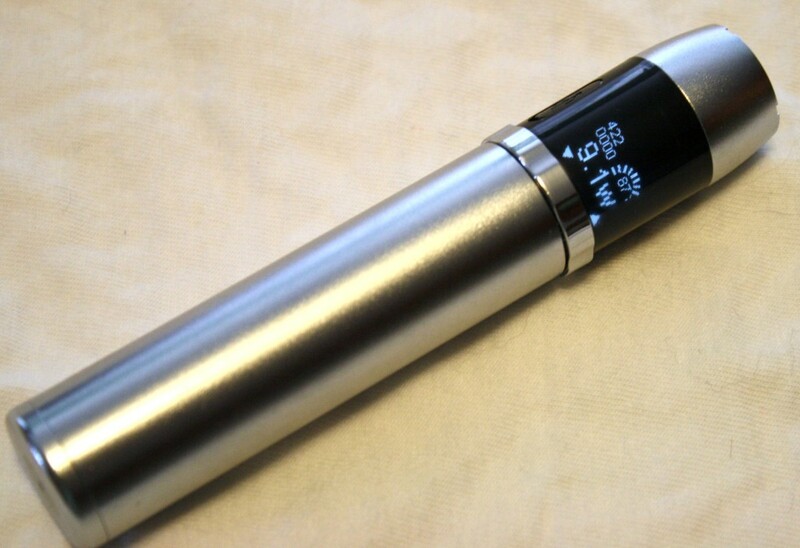 If you keep in mind that the Provari was designed to do one thing, Variable Voltage. And it does that one thing better than anything else. There’s countless posts and threads on numbers of other mods, which will remain nameless, because I know you’ve read or at least seen them, “my —- just died” , “problem with ——” , or “please help my —– died after 1 month” and so on. The Provari is like a classic car, yes…they make “modern cars” that go faster, handle better, have more bells and whistles, but they will never be a ’67 GTX, or a 396 SS, or Shelby Cobra. There’s a reason why almost every adjustable electronic device is compared against and measured against what the Provari can do. And it might not be as popular as she used to be, but she’s not been knocked off her perch. I’ve own many of mods as well as just the basic ego twist which was an everyday vaper for me using my kanger pro tank on it. I own ones like the vmax, zmax mini, evic, lava tube which all work decent. But once I tried and held in my hands my friends provari mini there was no looking back. I had to get one the next day. The only unit I have that comes even close is my mini all stainless zmax. It gives a good consistent vape but not like the provari. I agree with most that the provari is like the Ferrari of mods. Where as the zmax is sorta like a corvette. Some say provari needs to be updated by why fix what works so well in my opinion. If I would have known a year ago what I know and love now about my two provari’s I would never have wasted money on any other mods. Provari by far is the smoothest most consistent vape I have found. The evic is nice too but hey I would rather waste time vapin than fiddling with 30 different features and options. Give me something simple, well built, looks awesome, and works like a champ and I’m happy. Pro vape has done just that!